Welcome to the new site! We owe a HUGE thanks to Jeff Klein of the band My Jerusalem for all of his hard work and patience with helping us making this look beautiful and easy to navigate. 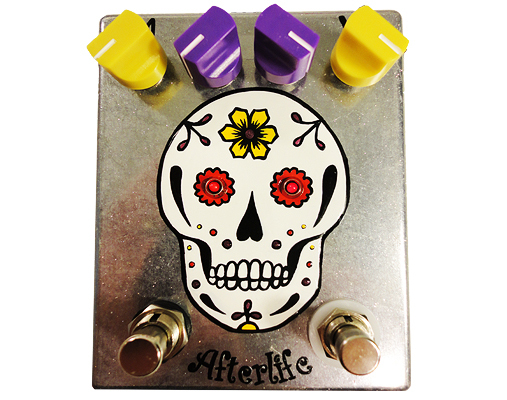 Each month, we will have a SALE on a new pedal. For example, this month’s sale is for the DARKEST DRIVING pedal. Have you been wondering what the new pedal is that we’ve been teasing on our social media? Where’s that reverb at that we have on YouTube?! Well, look no further…here it is: AFTERLIFE. Every month, we will also be sharing a short interview with one of our Artists with whom we work. This month, we have an interview with Brian Cook. Go check it out on Brian‘s page in the ARTIST section!